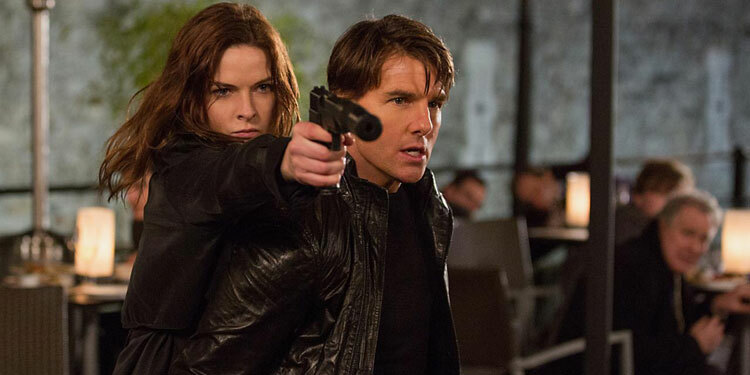 At one point it seemed like audiences were happy to see anything with Tom Cruise in it, but in recent years the only surefire hits he’s had are with the Mission: Impossible franchise. A couple of films ago, he was supposedly leaving the series behind, but then decided to stick around when several of his others films bombed, but people still couldn’t get enough of him as Ethan Hunt. Now they’re busy putting together the sixth Mission: Impossible, which has just added Vanessa Kirby, best known for playing Princess Margaret in The Crown, to the cast. It’s not known exactly who she will play, but Variety suggests it’s a big role, in the same scale as Rebecca Ferguson’s part in Rogue Nation. Christopher McQuarrie, who wrote and directed Mission: Impossible – Rogue Nation, is returning to do the same duties on the latest film. It’s due to start shooting next month, for release July 2018. 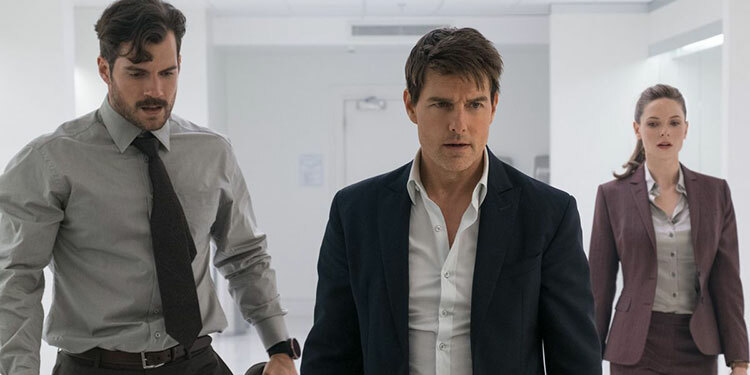 Tom Cruise is continuing his bromance with writer/director Christopher McQuarrie, as after Jack Reacher the star brought his on board for Mission: Impossible – Rogue Nation. Now McQuarrie has confirmed with a tweet that that’s he returning to that he’s coming back to write and direct Mission: Impossible 6. As he says, ‘Mission: Accepted #MI6’. Nothing is known about the movie, but Paramount is clear to bring back it popular franchise as soon as possible with both the studio and Tom Cruise saying they’re hoping it’ll be in production next August, for a 2017 release. No other actors have been confirmed for the movie, although there’s a good chance the likes of Simon Pegg, Jeremy Renner, Ving Rhames and Alec Baldwin will return. It seems hard to believe that we are now on the fifth instalment in this franchise, and after 19 years it thankfully shows no signs of stopping. I should state that for me this is a hard film to review as I am a fan of the previous entries, and the latest plays it safe by sticking to the tried and tested formula of its predecessors. Some reviewers are calling it the best entry in the franchise (which I can’t disagree with) and others have slated it for not adding anything new (which I also can’t disagree with). But for me the most important thing I want from any film is to be entertaining and fun, and this film definitely ticks both those boxes. 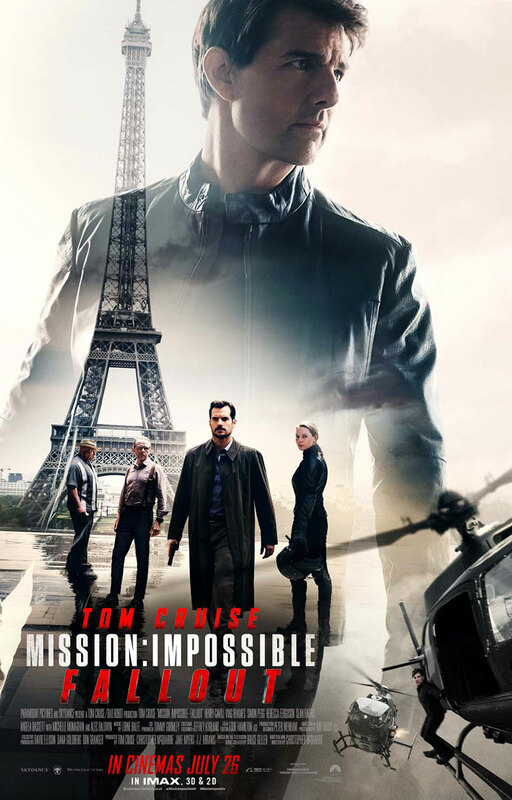 It would seem the Mission: Impossible franchise has decided it wants to sit halfway between a Marvel superhero movie and a James Bond flick, but considering the amount of money those films make, that’s probably not a bad decision for Paramount to have made. Yesterday we got the teaser for Mission: Impossible Rogue Nation and now comes the longer, full trailer, which is keen to let us know that Tom Cruise may be 19 years older than when he went on his first impossible mission, but he’s certainly not slowing down on the action front. 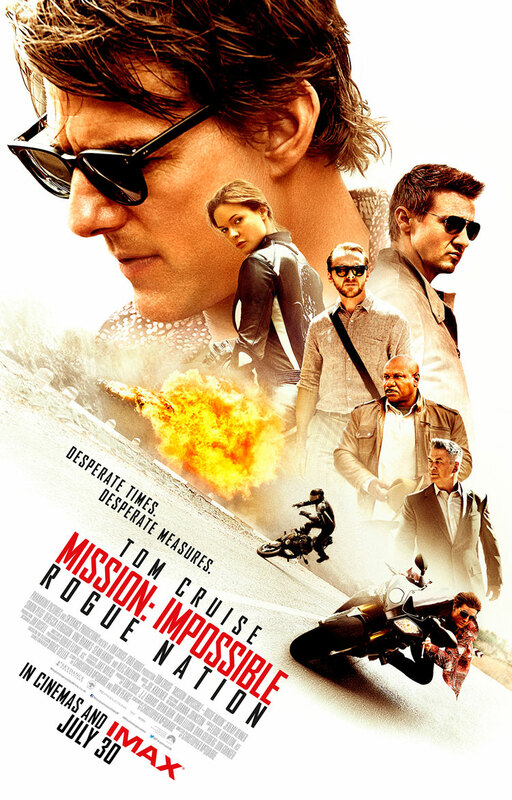 Here’s the synopsis: ‘Directed by Christopher McQuarrie, MISSION: IMPOSSIBLE ROGUE NATION reunites star Tom Cruise with Simon Pegg, Jeremy Renner and Ving Rhames, and adds to the cast Rebecca Ferguson and Alec Baldwin. Ethan and team take on their most impossible mission yet, eradicating the Syndicate, an International rogue organization, as highly skilled as they are, committed to destroying the IMF. A new Mission: Impossible film is due out at the end of July and until now it’s slightly be flying under the radar, but now it’s ready to announce that it’s full title will be Mission: Impossible Rogue Nation and give us a teaser trailer. A full trailer will be available tomorrow! Just a few months ago Alec Baldwin suggested he was retiring from the public eye after facing criticism for once more yelling a gay slur at someone during an altercation. However he seems to have changed his mind, as Deadline reports he’s in talks for Mission: Impossible 5. He’s not the only one, as Variety adds that Rebecca Ferguson is apparently to play the female lead, who is apparently some sort of assassin. Jessica Chastain was offered the role back in April, but she ultimately passed because she could not commit enough time to the extensive shoot, and so now Paramount is looking towards someone who’s a little less well known. Baldwin meanwhile would be a high-ranking CIA officer who oversees the division lead by Tom Cruise’s Ethan Hunt. The role has been compared to Laurence Fishburne’s Theodore Brassel in 2006’s Mission: Impossible III. Jeremy Renner, Paula Patton, Ving Rhames and Simon Pegg are expected to reprise their roles from 2011’s Mission: Impossible Ghost Protocol. Christopher McQuarrie (Jack Reacher) is directing from a script by Drew Pearce (Iron Man 3). The film is currently due for release on December 25th, 2015.